Maier & Neustadt, P. C.
Grant, Daniel. “Unwelcome Suggestions: Should You Tell an Artist What You Think?” Observer, 2, November, 2016. Malinsky, Richard. “Book Review: Tula Telfair Invented Landscapes.” The Woven Tail Press, 17, November, 2016. NYC Arts. Org – Arts Top Five Picks: December 16, 2016 – My exhibition was selected as the number 1 pick for the month. Weiss, Allie. “Serene Artist’s Studio Lets in Just Enough Scenery To Not Be Distracting.” Dwell, 29, April, 2015. Tramontana, Lisa. “Landscape Art Draws You In.” BLUSH, March 2015. Miller, Robin. “Tula Telfair LASM Exhibit Will Show Off Her Epic Vistas.” The Acadian Advocate, January 27, 2015. Eliasoph, Philip. “Dream World.” Fairfield Living, November/December 2014. Malinsky, Barbara. “Tula Telfair: A World of Dreams.” Ink Magazine, December 2014: 68-75. Foster, Christine. “ Imaginary Landscapes.” Wesleyan Magazine, 10 December, 2014. “Tula Telfair.” New York Talent Magazine, 1 March, 2014. New York Times, 19 October, 2014: 7. Hillary Rodham Clinton. "Our Accord with the Earth." Art in Embassies Exhibition 2011. "Tula Telfair Exhibition at the Florence Griswold Museum." Museumpublicity.com, April 5, 2010. "Florence Griswold Museum to Show Works by Contemporary Artist Tula Telfair." 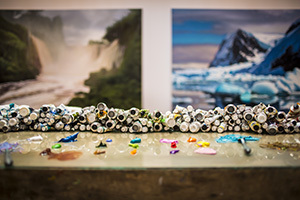 Artdaily.org, April 22, 2010. Leggio, Gail. "Keep it Fresh: Contemporary Artists Exploring Tradition." American Arts Quarterly Summer 2010. Kobasa, Stephen. "Krieble Gallery at Connecticut's Griswold Museum Features Landscapes of Tula Telfair." Artes Magazine, June 3, 2010. "Florence Griswold Museum to Show Works by Contemporary Artist Tula Telfair." 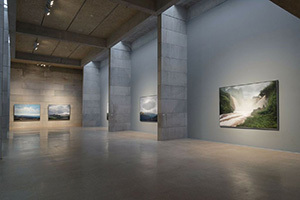 Artdaily.org, June 6, 2010. Barry, Amy. "Imaginary Places You're Sure You've Seen Before." The Times, May 27, 2010, pp 1, 14. Barry, Amy. "Imaginary Places You're Sure You've Seen Before." Theday.com, May 27, 2010. Hartford Courant/courant.com, April 22, 2010, Pp. 2. Beem, Edgar Allen. "The Intellectual Landscape: Tula Telfair at the Griswold Museum." Yankee Magazine, April 14, 2010. Whitcomb, Robert. "Manipulating Landscape." This New England, April 20, 2010. "Tula Telfair at the Florence Griswold Museum." Grace Magazine, March 22, 2010. 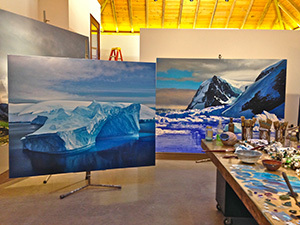 "Florence Griswold Museum to Feature Tula Telfair's Landscapes in Counterpoint." Art Knowledge News, April 2010. "Complementary Landscapes." The Day.Com, April 20, 2010. "Tula Telfair's Oil Paintings to be on Display at Local Museum." 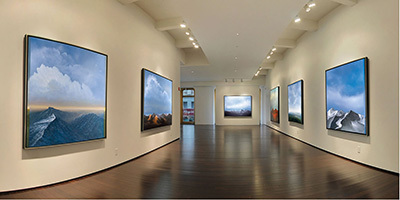 Sisteen Art Gallery, April 2010. "Florence Griswold Museum to Show Works by Artist Tula Telfair." Fine Arts News, April 2010. "Tula Telfair's Landscapes in Counterpoint." Curatedfag.com, April 12, 2010. Meyer, Ruth. "Mirroring Air, Earth, Water". The Artist's Magazine, May 2009, p 36-43. Pesci, David. "Working the Blank Canvas". Wesleyan Magazine, 2008 Issue II, p 24-29. Tula Telfair, American Arts Quarterly, Volume 25, Number 3, 2008. Tula Telfair, apartment therapy, New York, online July 25, 2008. Tula Telfair Exhibition Review, The Newington-Cropsey Cultural Studies Center online, Summer 2008. 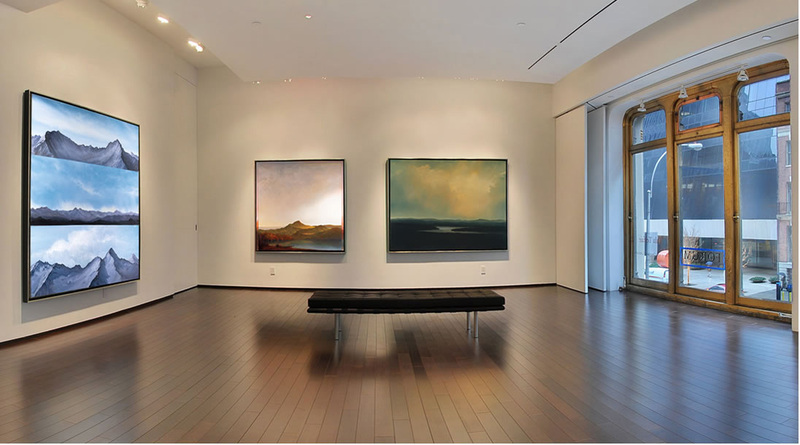 Tula Telfair: Located at the Edge of a Momentary Convergence: New Landscape Paintings, Forum Gallery, 2008. Art of the Gettysburg Review: Representation in Contemporary Painting, By Peter Stitt and Molly S. Hutton, 2007. Goodrich, John. "Transported by the Traditional". THE NEW YORK SUN, July 5, 2007. Hutton, Molly S. "Big Skies: The Imaginary Landscapes of T. Telfair". The Gettysburg Review, Autumn 2006, p 414-424. United States Embassy Dhaka ART in Embassies Exhibition, By Patricia A. Butenis, US Embassy Dhaka, February 2007. Tula Telfair, By Robert Fishko, Forum Gallery, 2006. Mallarkey, Maureen. "The Extraordinary is Everywhere". The New York Sun, March 16, 2006. Art. The New York Sun, April 4, 2006. Bartlet, Olivia. "Telfair Paints from Memory Via Her Heart". The Wesleyan Connection, May 5, 2005. Sims, Carol. "US Artists: Going Strong", Antiques and the Arts On-Line, November 2, 2005. Mallarkey, Maureen. "Contemporary landscapes", The New York Sun, August 26, 2004. Morton, Julia. "Land equals Power", The New York Press, August 18, 2004. Tula Telfair, New Work, By Robert Fishko, Forum Gallery, 2004. Orville O. Clarke, Jr. "Tula Telfair," Artscene, Vol. 23 No, 8, April 2004. Silberman, Vanessa. "Fall fair Debut makes Successful First Run". Art Business News, November 2002. Tula Telfair, New Paintings, By Doninick Lombardi, DFN Gallery and Snyderman Gallery, 2001. Sims, Carol. "USArtists: Going Strong." Antiques and the Arts, 2001. Forces of Nature, By Benjamin Ortiz, The Discovery Museum. 2000. On the Horizon: Landscape at the Millennium, By Nancy Cohen, New Jersey Center for Visual Arts, 2000.
Zimmer, William. "Drama in Nature: Burning Oil Fields, Cascading Water," The New York Times, Sunday February 6,2000. "Gallery Show Examines Landscape," The Independent Press, March 2000. Bischoff, Dan. "Millennial Landscapes," The Star Ledger, MARCH 2000. Moss, Lynne. "Context is Everything: New York Artist Tula Telfair Redefines Landscape Painting by Uniting Romanticism with Minimalism," American Artist. Summer 2000. NY Arts, "Picks," Vol. 4 No11, 1999. NY Arts, "Q&T With Tula Telfair," Vol. 4 No. 6, 1999. Sozanski, Edward. "Art, Museums and Galleries," THE PHILADELPHIA INQUIRER, October 22, 1999. Tula Telfair, New Paintings, By Lisa Tremper Hanover and Gresham Riley, Snyderman Gallery and DFN Gallery, 1999.
Zimmer, William. "Drama in Nature: Burning Oil Fields, Cascading Water," The New York Times, February 6, 1999. Tula Telfair, Constructed Landscapes: Series III and IV, by Eileen Neff, Snyderman Gallery and DFN Gallery, 1998. Sozanski,Edward. "Art, Museums and Galleries," The Philadelphia Inquirer, February 20, 1998. "Everything Old is New Again," The Player, April 1998, p. 64-66. "Diverse Exhibits on View at Trio of Area Museums," Times-Harold, March 28, 1997. "The Arts," The Philadelphia Inquirer, March 23, 1997. "New Exhibit on View at Ursinus," The Mercury, January, 30, 1997. "The Pastoral Experience for Today's World," Greenwich Times, April 20, 1997. The Contemporary Landscape, by Lisa Barnes and Barbara Zucker, Berman Museum, 1997. "Pastoral Experiences at Hurlbutt Gallery," Greenwich Times, March 12, 1997. "Hurlbutt to Open its Most Elegant Show," Greenwich Post, March 7, 1997. ARTbibliographies, "Tula Telfair," Vol. 27 No 1, 1996. USArtists 96, Pennsylvania Academy of the Fine Arts, 1996. Light Years, by Le Anne Schreiber, Lyons and Burford, 1996 (Book Jacket Cover). The Rules of Beauty: The Paintings of Tula Telfair, by Edward Warteck, Rosenberg Gallery, 1995. Giuliano, Mike. "Exhibits Showcase Painters Going Back to Nature," September 13, 1995. Camper, Fred. "Landscapes of the Mind," CHICAGO READER, May 22, 1994. Tula Telfair, by Susan Snodgrass, Peter Miller Gallery, 1994. Drawing 1993, by Harvey Breverman, Brigham Young University, 1994. Scene and Unseen, Eastern New Mexico University, 1994. "Landscapes on Broadway," The New Villager, December 16, 1992. Shine, James, G. "Art + Environment = SUNY Exhibit," DAILY FREEMAN, July 17, 1992. The Education of Painters: A Symposium, Alliance of Independent Art Colleges, 1990. The Image of the Horse, by Richard McLean, Redding Art Museum, 1990. National Drawing '89, By Ann Percy and Bruce Rigby, Trenton State College, 1989. At the Edge, A National Print and Drawing Exhibition, by Barry Walker, Laguna Gloria Art Museum, 1989. Mitchell, Annette. "In Black and White," ART NEW ENGLAND, February 1989. Yellin, Deborah. "Tula Telfair/Linda Cunningham," 108 REVIEW, NY, January/February 1988. BUFFALO EVENING OBSERVER, "Preview," July 15, 1988. From The Files: Curator's Choice, The Alternative Museum, 1987.